The Lifestyle Eden Greenhouse Heater is manufactured in Europe to a very high standard, the heater has thermostatically controlled long lasting blue flame burners. 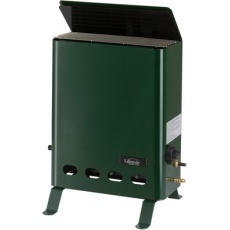 The Eden Greenhouse Heater comes complete with regulator and hose, very little assembly required. Available with optional extra, automatic change over valve to ensure you never run out of gas. Temperature range 7°C - 32°C. Made to highest safety standards. Long lasting blue flame burners. Piezo ignition for reliability and easy ignition. Suitable for greenhouse up to 4m x 3m. 1.5 metre gas hose and propane gas regulator supplied.